It's Mona. 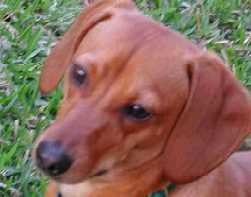 Me be a wirehaired dachshund who lives in Houston, Texas with the Mommy. She gots red haur like your Daddy but she is as old as dirt. Becuase she is so old she can't remeber if we have ever visited ya before but you are in my favorites list so maybe we have been interduced. I am on a Great Adventure with Copper, bother long haired dachsie like you. Come by and see me sometime cause I'm going to try to get the Mommy to stop by at all my dachsie friend every day from here on out. That is a great place to curl up. If you fall asleep, she can't sneak away!